The rise of the ad-sponsored dial-up ISP offers some useful lessons on promising too much in the age of MoviePass. Good luck getting rid of that ad. On the market for some new gadgets? 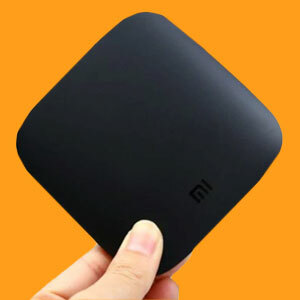 Give GearBest a quick look; they always have some offbeat gems. Click this link and use the code GBCNA to get a 14 percent discount on computers and peripherals. Wanna advertise here? Check out this page to learn more. What are you willing to tolerate in exchange for something you get for “free”? How far will you defile both yourself and your computer in an effort to access something that other schmucks happily pay for? The Free-Net model, which I wrote about earlier this year, pitched the idea of community supported internet, but it definitely wasn’t a commercial model. For one thing, most Free-Nets could only support text-driven interfaces! So this meant that entrepreneurs were looking to find different paths to monetize internet service in some way, shape or form. In one case, there was a company that tried to franchise out dial-up internet service like it was McDonald’s or Burger King. But there were lots of companies that saw an opportunity in free or extremely cheap internet beyond Juno and NetZero. One such service, Bigger.net, offered a model reminiscent of MoviePass: Pay a one-time $59 fee, get free internet forever, no questions asked, though definitely with some advertising. CEO Jeff Fortin was bullish, because of course he was. By January of 1998, there were already cracks showing in the model, with the company having to suspend new accounts on its website. By November of that year, the competing Brigadoon.com, which distributed internet access to nonprofits, bought Bigger.net for a not-so-big price of $275,000. (Spoiler: Brigadoon.com is dead, too, and leads to a fake Adobe Flash site if you load the URL.) Cincinnati’s Tritium Network, which launched in 11 cities early in 1998 and relied on a CNN Headline News-style ticker tape at the bottom of the browser screen (as well as network backbone from Ohio’s own CompuServe), had shut down operations by November of that year. The year before that, a company called j3 Communications tried to bundle unlimited access with long distance service. Key word: Tried, because the service lasted less than a month. These experiments failed for numerous reasons, including execution challenges and the sheer cost of offering a service that competing companies were getting paid a lot of money to offer. Dial-up internet access was not a commodity at this point, no matter how many attempts these companies made to make it so. But eventually, two companies got the model right enough that they became famous for offering free internet …supported, of course, by persistent, somewhat annoying ads. The number of users, at its peak, that Freeserve, the UK-based free internet service, had. The model, which launched in 1998, was more successful in Britain than in the U.S., in part because of a close tie to the electronics retailer Dixons, and in part because phone service in the U.K. came with per-minute charges. The retail firm kept ties with the service up until 2003. The success of Freeserve led competitors like AOL to come up with free versions in the country. Pulling off an idea as audacious as free ad-supported internet was not going to be an easy trick in 1996. Framing it in 2018 terms, these companies had to do a lot of difficult things all at once: They had to build their own proprietary technology, create a national network of phone banks to handle internet access, rely on word of mouth and traditional marketing (the real-world kind, because the people they were reaching weren’t online yet), and distribute a whole lot of physical discs. It’s the Pets.com problem, multiplied: They had to operate like a brick-and-mortar business with an untested business model, starting from zero infrastructure, while their main competitors (AOL and CompuServe) had business models that actually worked. But since there were so many companies trying to make this model work, it makes sense that a couple stood out. Towering among them were Juno and NetZero. 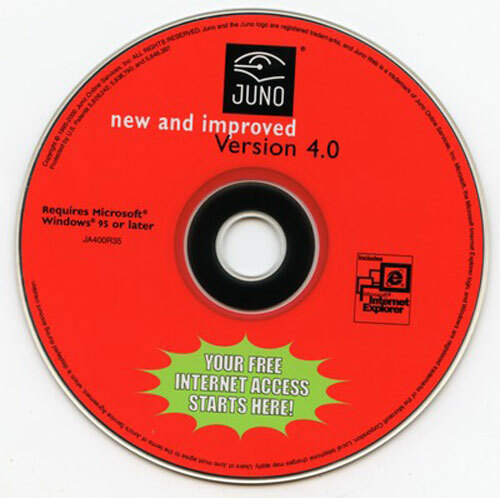 Juno got to the free-internet model earlier than nearly all its competitors, launching August of 1996 with a dial-up application that split the difference between AOL and the languishing Free-Net model; all you needed to get online was a modem (a soft modem did the trick), but you got a Windows-based graphical interface. Of course, free came with a cost, and that cost was ads. 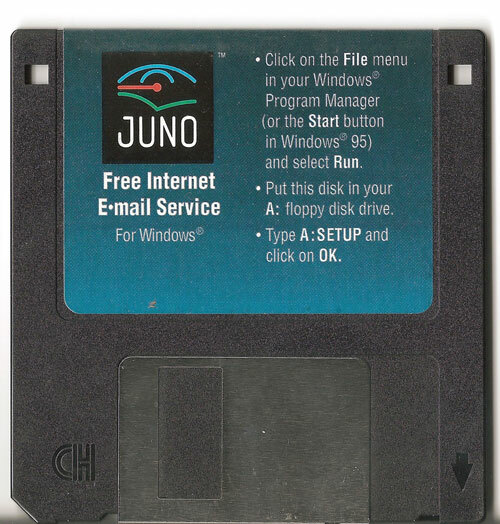 However, Juno’s original idea of “online” was limited to email. If you wanted to send a message to your pals with Juno, you could. But surfing the web was beyond its capabilities at first. Juno, which was backed by a massive investment firm, wasn’t first to this idea of free email—while it demoed the service to The New York Times in April of 1996, Hotmail beat them to the market by a month—but Juno’s approach was different, relying on a dedicated app rather than Hotmail’s web-based interface. Hotmail instantly became the more popular service for two reasons—one, its model (which didn’t have to rely on physical distribution and targeted existing internet users) was better-suited for viral success, and two, Microsoft bought it after just a year and a half of existence, ensuring its model of web-based free email would be built to last. An early commercial for NetZero. Impress your friends. Click here. Every 15 to 30 seconds, the company’s proprietary software would put a new ad on the screen, highlighting a different advertiser. The ads, which were persistent but not overbearing, were one thing (a San Jose Mercury News reviewer noted that the flicker level on the ads was strong), but the real reason why NetZero’s model was problematic came down to its use of data. Years before Facebook was criticized for doing the same thing, it relied on aggressive data-suction techniques that were still very new for online access, including geographic targeting and website tracking. In an interview with the Los Angeles Times, cofounder Ronald Burr characterized the move as one that benefited both the consumer and advertiser. “It’s a win-win,” Burr said. “The ad that comes to you is meaningful to you, and the advertiser is getting ads to the people who are more likely to be interested in the product." Ultimately, the concerns about data privacy didn’t hurt NetZero; the service, which also offered pay versions, was successful enough that it had 3 million users clogging its dial-up lines by the middle of 2000, and it was getting large investments from companies like Qualcomm around that time. Juno, which replicated NetZero’s service around that time, was no slouch either; nearly 3 million users had Juno.com email accounts by the end of 1999. The services, however, had a fatal flaw in their original form: The ad model. — Mark Goldston, then the CEO of NetZero, explaining to CNET how the company’s model inspired a number of new entrants into the market. Most colorfully, Kmart entered the market with its “totally free” BlueLight internet service. Despite the interest from players like Yahoo and Excite, NetZero and Juno remained at the top of the free-internet heap, as competitors, one by one, lost momentum. You know how, when you join a social network for the first time, you’re encouraged to fill out your profile? Facebook offers a great example of this, of course—all those data points about where you grew up, your school, your job, and so on aren’t just there to share with your friends. The dirty not-so-secret of the modern internet: Facebook, LinkedIn, and other social networks use your vitals to build a profile of you for advertisers. Services like Juno and NetZero did something like that in the late ‘90s, too, but they weren’t so subtle about it—they wanted you to know everything about you so they could advertise against you. It wasn’t subtle—you were required to share your vital information in exchange for the right to use their services. They literally straight-up asked, no hiding the nefarity of their purposes. In fact, NetZero asked users 30 questions out of the gate, according to the Los Angeles Times. Thirty! You might have been expecting free internet, but you weren’t getting that ad-sponsored dial-up without a pop quiz. But perhaps the most out-of-whack expectation about these services, and the thing that makes them so similar to MoviePass, might have been what they expected to make off all these customers that were getting online by paying for their data. As online advertising was brand new at the time, the model was completely out of whack with the expectations a modern advertiser might have in 2018. Both Juno and NetZero assumed that, because people were required to see their ads to use their respective services that they could charge a lot more for those ads. They had nothing to compare the model to, because online advertising was brand-new, but the rates, out of context, sound absurd. According to the New York Times, Juno assumed before its launch that it could charge advertisers prices of $50 to $70 per 1,000 viewers who were simply looking at email. And per the L.A. Times, NetZero was hoping to sell ads at a CPM of $25 to $65. These rates were comparable to national magazines—and would be unheard-of today for banner ads. Even though Juno and NetZero likely knew more about their audiences than a Conde Nast publication, the model just wasn’t there like they hoped. They banked on the idea that the banner ad, even as a persistent part of a screen, would be something that lots of people would want to click on. And it turns out people weren’t interested. It was common in 2000 to run across folks on forums that were trying to remove the NetZero banner by any means possible. To be fair to Juno and NetZero and everyone else that jumped on this model, people were making bad bets on advertising left and right in the late ‘90s. For example, as I wrote in my piece about online food delivery last year, a company called Cybermeals spent $54 million on untargeted advertising on four different portals over a four-year period, an absurd amount of money considering that most of the people those ads were hitting could not actually use the service! The era was littered with stories like that. So it was inevitable that when the online advertising market stumbled, creating a crash in the tech sector, the free internet model would look a lot less appealing. — A passage from U.S. Patent No. 6,157,946, a patent that laid out the technology of NetZero’s “ZeroPort,” the persistent window that would always display advertising. (Yes, they patented the ability to display non-removable banner ads.) In late 2000, as it was becoming increasingly obvious that the model would not work as either company intended, NetZero filed a lawsuit against Juno for patent infringement over this idea that people would want persistent advertising all over their internet. At the time of the lawsuit, the stocks for both companies, which at one point were each above $35, were trading for less than a dollar each. By the middle of 2001, the two companies had merged. The thing about NetZero and Juno that’s fascinating to consider, and might provide something optimistic for MoviePass to look forward to, is that they somehow managed to live on into the present day. Here's a terrible argument in favor of switching to dial-up from broadband from NetZero. Part of the reason for this was that they shifted their model to better handle the extremes. If people were using their resources far outside the norm—around 40 hours a month, later cut down to 10 hours—NetZero would push those users up to the $9.95 Platinum plan, which gave them unfettered access to the internet. It pushed the model closer to AOL, but it also made the model much more workable and financially sustainable. In many ways, these situations are similar to the compromise that MoviePass recently made with its model pushing the limit on the number of times people can use its service to three a month. But it was clear, over time, that there was a market for free internet, but the providers of that free internet were not services that overload you with ads, but places where one can get on the wireless for free. The ad-subsidized model, while much less than it was, isn’t totally dead; Amazon’s Kindle devices rely on “special offers” that work not unlike NetZero once did. But for the most part, ads have become the domain of websites, not providers. That said, a more direct successor to the ad-supported internet model came in the form of the ultra-cheap wireless hot spot that features such questionable companies like FreedomPop, which offer a very limited tier of free internet on their devices, with the assumption you’ll blow past it. NetZero plays in that space, too, these days, though you’ll probably plow through your data in a matter of minutes. One has to wonder if, fifteen years from now, MoviePass will look like this: A company with a model that once stood for improbable discounts, but now stands for nickel-and-diming. To be fair, it’s an objectively more profitable business model than what NetZero was doing in the ‘90s.